In-fact everything in Bhutan can be a photographer’s theme that designing a package for the lenses do not sound practical. 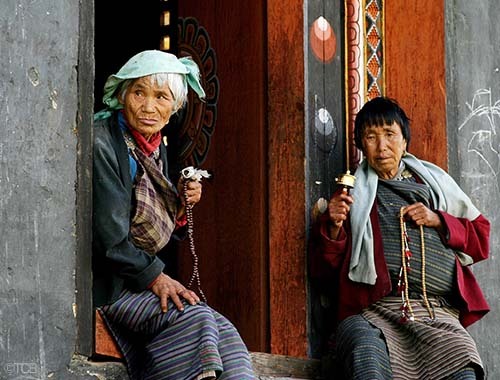 However, enabling one to pick out the gem from the jewels is practical, and “Portraits through Lenses,” is the guide for capturing the most beautiful from beauties of the Himalayan Kingdom. However, there are restricted areas for photography and you will be informed of this by your guide. There are areas for capturing frames for people from a diverse range of professions. From writers to researchers, scholars and photographers, apart from the ordinary tourist, one can pick your choice of destinations. 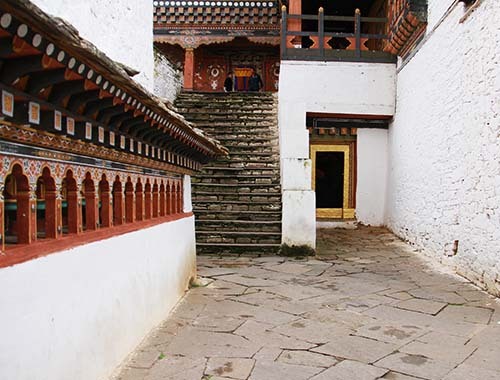 The historian can capture images of the ruined “Fortress of the Victorious Drukpa” (Drugyal Dzong) build in the 17th century to commemorate Bhutan’s victory from the invading Tibetans. Similarly, climate change scholars can take home pictures of several peaks and if required, the glacial lakes. A photograph of the “Tiger’s Lair” (Taktsang) – a monastery stuck on a hillock with a deep ravine, will be a masterpiece on your wall, at home. 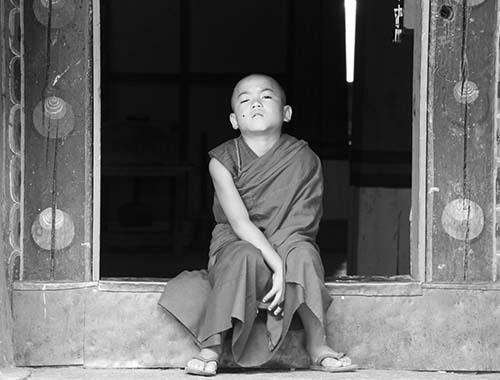 Bhutan is a photographer’s paradise. Its natural beauty is unrivalled as its location in the midst of the Himalayas affords spectacular views of the world’s highest mountains, mind-boggling gorges, waterfalls and other wondrous manifestations of nature. 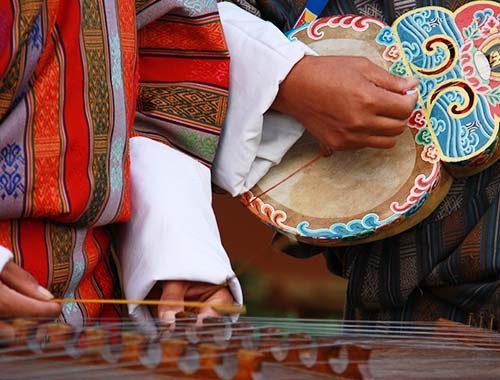 This is complemented by the rich and rare Bhutanese culture with its unique sights and sounds. Apart from this, you can immortalize Bhutan’s wealth of flora and fauna into your frames. Among thousands of flowers which carpet the mountainsides in spring, there are more than 55 different varieties of rhododendron alone and about 500 species of orchids. This tiny country has over 700 species of birds, more than the whole of North America. As mentioned earlier, the tour brings you the opportunity to bike and click. 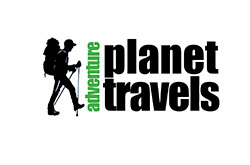 You will also be travelling, along different landscapes and geographical areas. 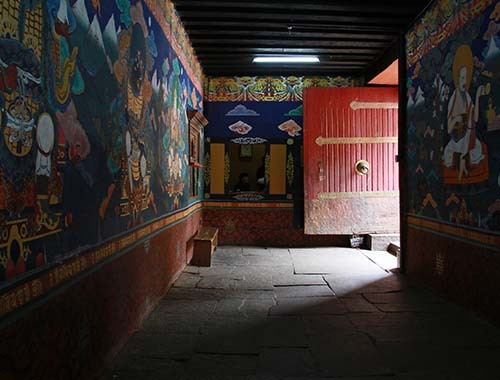 This package includes visits to remarkably architectural masterpieces, embodied in massive Dzongs (fortresses), monasteries and historic places, such as the majestic Punakha Dzong, which from far looks like a giant ship on a mass of still water. Photography is permitted in most areas. Concoction of adventure and culture, offering one the opportunity to bike and visit culturally important structures and institutions. Paro - Taktshang - “Tiger’s Lair,” Rimpong Dzong (Fortress on a Heap of Jewels), Ta Dzong (watch tower and now the national museum), Drugyal Dzong (Fortress of the Victorious Drukpa), Kyichu Monastery (a 7th century monastery, believed to be build on the left knee of a giant ogress and one of the 108 temples that the Buddhist King Songsten Goempo built across the Himalayas within a day, to spread Buddhism and subdue evil forces). 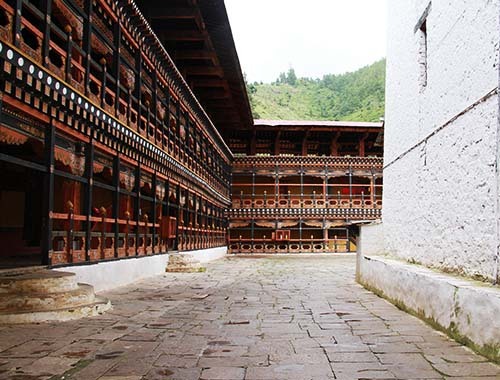 Similar historic structures in other areas like Thimphu, Punakha. A pair of full sleeve shirts and pants to be worn while visiting the dzong, which houses the government offices.A pair of hiking/walking shoes. Be seated on the left side of the aircraft, keep your camera ready (battery charged, of course), and follow the instructions of the pilot as he/she guides you through the world’s highest mountains, one after another – Kanchenjunga, Everest, Lhotse, etc. On a clear day, the views are nothing short of spectacular. Rimpong Dzong (Fortress on a Heap of Jewels), National Museum, 7th century Kyichu Temple among several other ancient religious monuments and sites. The ruins of Drugyal Dzong and Taktshang (Tiger’s Lair) Monastery, famed for its religious significance and architectural wonder. Chelela Pass (3,988 meters) and from there stunning views of Mt Jomolhari (7,326 meters) which is revered as the Abode of Goddess Remati. Also, numerous species of alpine flowers, and birds like Himalayan Monal, Satyr Tragopan, and Kalij Pheasant. 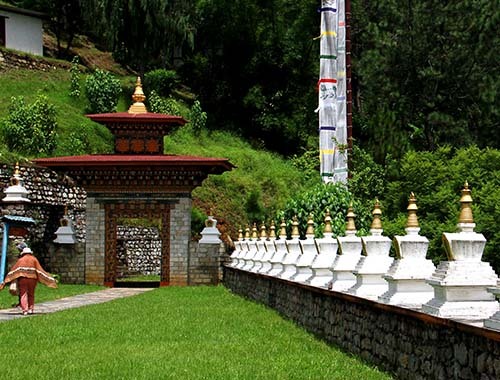 Memorial Stupa – the most beautiful stupa in Bhutan built in memory of the father of modern Bhutan, king Jigme Dorji Wangchuck. Vegetable Market – For people and culture. Norzin Lam (street) – The busiest place in the capital. Textile Museum, Folk Heritage Museum, School of Art and Craft. Dochula, the 3,116 meter pass which provides a breathtaking view of the higher Himalayas. Vegetation from alpine to the sub-tropical, rare birds and flowers. 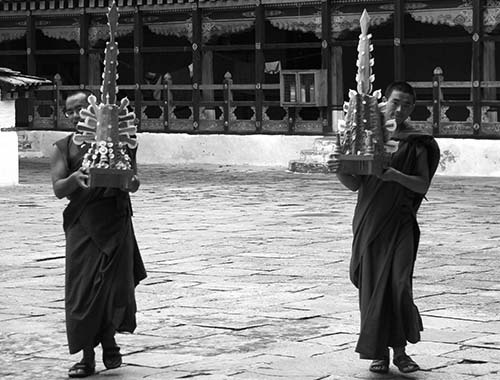 The Wangdue-Punakha valley, farms and villages, ancient monasteries including Chimi Lhakhang (the Temple of Fertility). 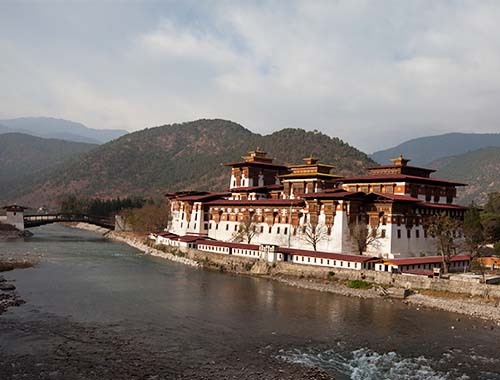 Punakha Dzong, the old capital of Bhutan and Bhutan’s most prized asset. The ruins of Wangdue monastery-fortress. 18th century stupa at Chendebji. The Watch Tower of Trongsa. Wangdicholing Palace and Domkhar Palace. 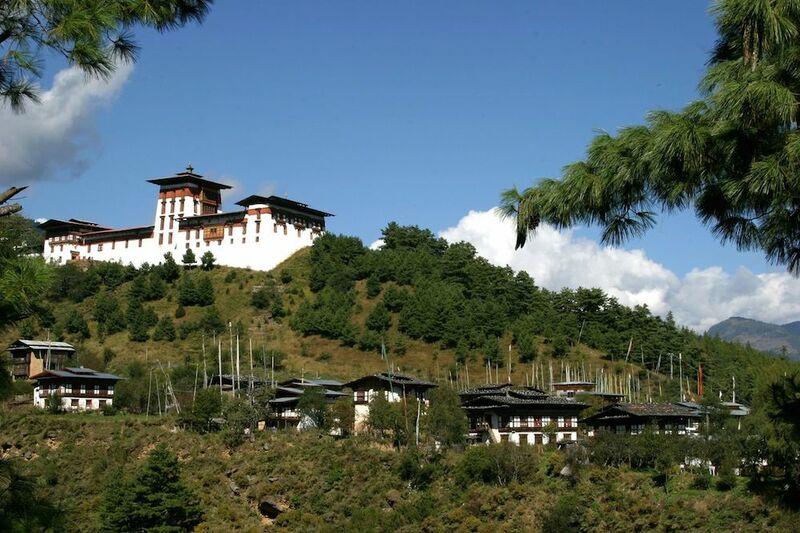 The famous Kurjey Temple and 7th century Jambay Lhakhang (temple). Tamzhing Monastery, and the legendary Mebartsho (Burning Lake). Thrumshingla National Park and the Thrumshingla Pass (3,780 meters). Kurichu Hydroelectric Dam and power house. Korila Pass and the surrounding views of the landscape of eastern Bhutan. Yadi zig, and shots of the valley carved by Dangmechu, the biggest river of Bhutan. Gomphu Kora, a great site of pilgrimage for Buddhists. Trashigang Dzong, historically the powerhouse of the regional ruler. 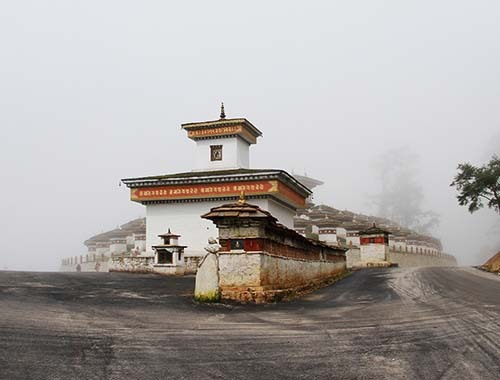 North Trashigang, the most populated area of Bhutan – local culture, customs, traditions, lifestyle. 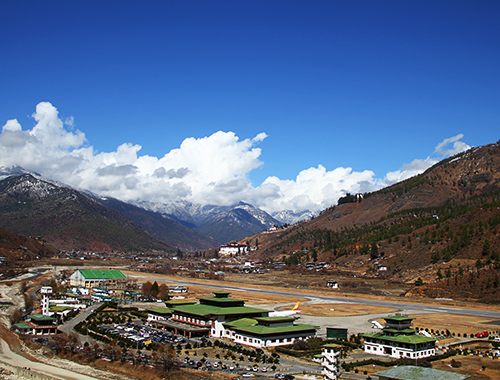 North Trashigang, the most populated area of Bhutan and the centre of local culture, customs, traditions, and lifestyle. 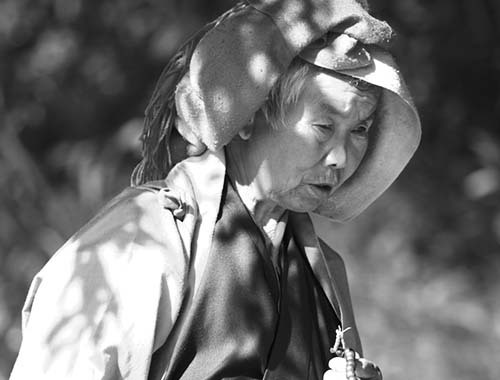 Folk festival, dance and music. 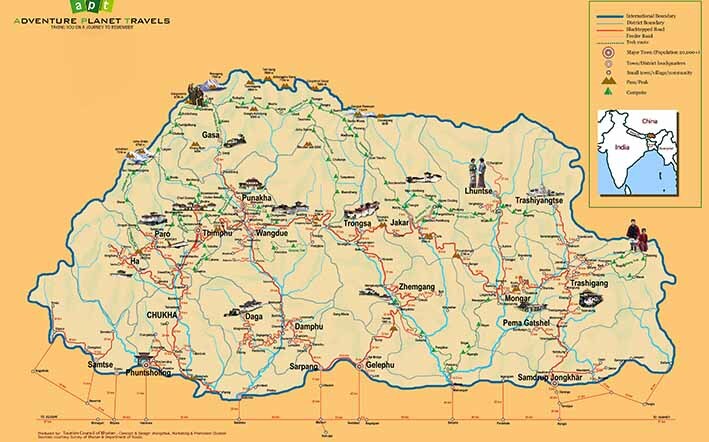 Numerous ancient temples and monasteries reroute. Ancient iron smithy at Barshong. Bird watching area at Moshi, Dewathang. Day 13: Samdrup Jongkhar/Guwahati airport for onward flight.